If you’re an artist living on the margins, you probably know about Patrick’s Cabaret; this queer-led organization regularly organizes fantastic nights of performance in all mediums with a strong focus on the artists who are most marginalized within the LGBTQ+ community. If you’re an artist living on the margins, you are probably also well-versed with the gig economy and all of its pitfalls. Things like unsteady work, a stream of short-term gigs, and faulty training on how to “make it” or take care of yourself as an artist team up against us, making it difficult (to say the least) to survive as an artist, let alone prosper creatively or financially. Because Patrick’s Cabaret is so committed to providing space and education to artists, they’ve teamed up with Soo Visual Arts Center and Pangea World Theater to produce a series of five classes for artists and marginalized people to hone their skills and for working artists to share the knowledge they’ve amassed in their careers. 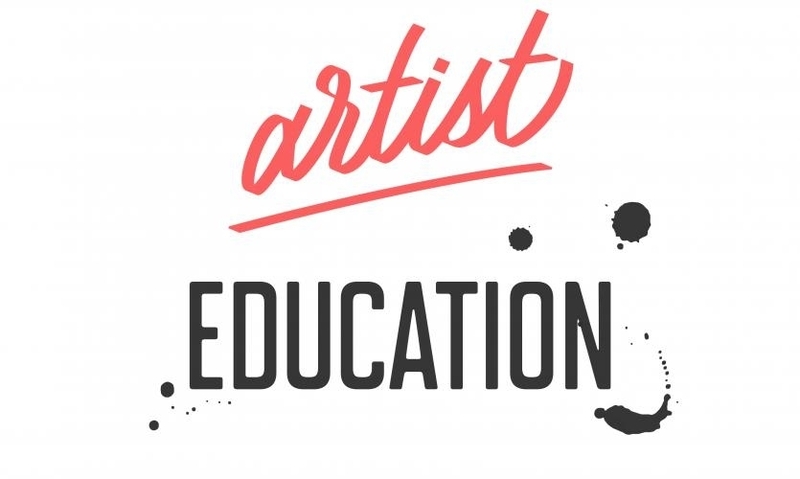 The Artist Education Workshop series is in its second year currently. The company is furthermore committed to building resiliency for artists, and each workshop is encouraged to teach skills that allow artists to nurture and celebrate that resiliency in themselves. Unfortunately, two workshops in this season’s series have already passed us by. Those were Lisa Marie Brimmer’s Maintaining Selfhood: Voice, Choice and Finding Equity in Collaboration and grey doolin’s Self Care for Artists: Identifying Needs, Implementing Practices. Patrick’s wants workshop leaders to experiment, heal, and learn from this experience as well, so I reached out to Brimmer about her experience leading this critical workshop on Voice, Choice, and Finding Equity. Brimmer’s workshop extensively covered boundaries when collaborating with other artists and expressed the importance of expressing your voice in that work. That workshop also allowed for some more open creative time, allowing participants to write and share. Another incredibly key component to surviving in the alternative economy that artists and marginalized people create and work in is knowing when to step back and take care of yourself — and not your work. I spoke to workshop instructor doolin shortly before Self Care for Artists on November 11th regarding preparation for that class. As someone who is actually preparing one of these workshops, I was excited to hear about doolin and Brimmer’s experiences. I’m developing a workshop on How to Make a Living as a Freelancer or Solo Entrepreneur, Really for Real that goes through the steps you should take before you start such a career, how to build that career, and how to maintain and succeed in that career from there. I’ve been a professional tarot card reader, theater artist, writer, and teacher/workshop leader exclusively for several years now with varying degrees of success along the way. I’m preparing a workshop that goes through practical skills like creating realistic business plans, managing multiple income streams, and saving enough for taxes. We’ll also talk about following your heart in your business, recovering from failed projects emotionally, and creating some semblance of work life balance. I want people to feel prepared for a career that can be incredibly risky but incredibly fulfilling, but I also want us to be able to vent about capitalism and create careers that allow for days off when we are sick, exhausted, or when our trauma is too much to carry. Hearing what a healing space this is from has been beautiful and affirming, and I’m excited to see what “a-ha!” and healing moments my class inspires for others. You can catch How to Make a Living as a Freelancer or Solo Entrepreneur, Really for Real on December 7th at 6:00 P.M. at Pangea World Theater. More details are available here. Before my workshop though, Claire Avitabile from 20% Theatre Company is wrapping up the November sessions with Budgeting Your Art. Budgeting Your Art is as straightforward as it sounds, covering budget-building for both grant applications and personal/professional reasons. Avitabile covers everything you need to know to build budgets you can be comfortable with and confident in, including “what you need them for, what you may not realize you could use them for, and how to calculate and estimate and cover all the bases.” Avitabile also plans to provide some tips for maximizing your existing budget and the funds that are available. Registration for this always-timely workshop is here. The class takes place on November 21st at 6:00 P.M. at Soo Visual Arts Center. Zines: A Crash Course finishes out this “semester” of workshops at Soo Visual Arts Center on Thursday, December 14th at 6:00 P.M. More information and registration are available here. One thing that’s consistently frustrating to me as an artist and freelancer is the expense of skill-building and even community-oriented workshops. I vehemently believe that instructors and presenting organizations should be paid, and well, for their time and expertise. I also vehemently believe that if the people who need to see your workshop can’t come, well, that’s a pretty big problem. Patrick’s Cabaret (along with Pangea and SooVAC) want these workshops to be fully accessible, and that includes pricing. You can’t build an alternative economy if no one can afford to learn how to do it. As such, registration is just $5-10 suggested donation that covers some of the costs of providing this series, but there are scholarships available for those who can’t afford to come otherwise. Please reach out to Patrick’s Cabaret if that is the case for any of the remaining workshops. Snacks are available, and all classroom spaces are fully accessible. Next articleGive to the Max to The Column!